Having grown up with Disney movies (which cultivated a slight obsession with princesses), I’ve often dreamed of castles and towers and royalty. 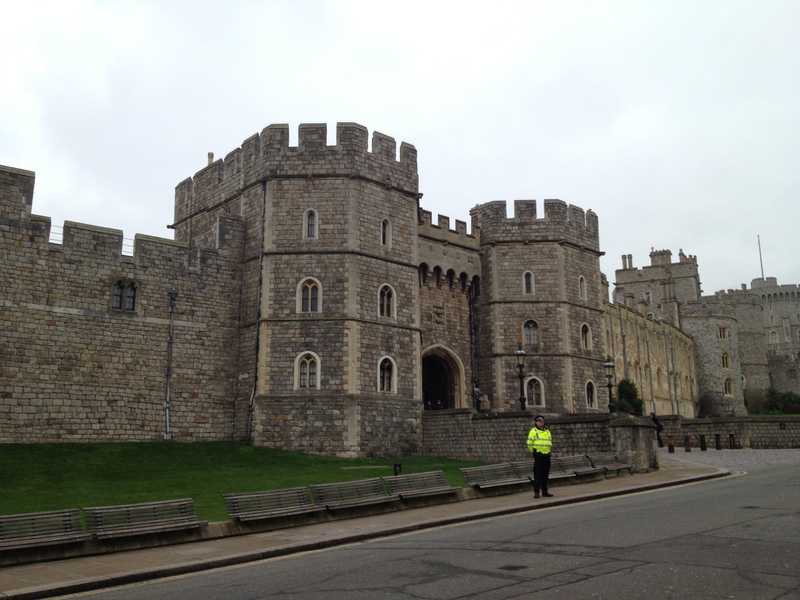 Visiting Windsor and getting to see a real live castle in person was a bit of a surreal experience for me. In the morning, we took a tour bus to Windsor and drove through the town of Slough (pronounced slow), which was the town that the U.K. Office took place in and has a reputation of being un-cosmopolitan. 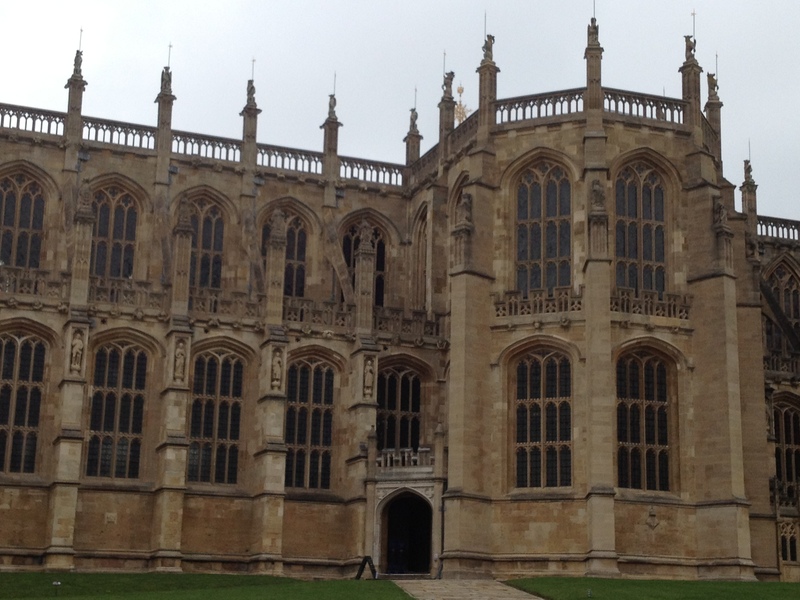 Once we got to Windsor I was blown away by the beauty of the castle. It looked exactly like a castle should be – complete with stone towers, rolling hills, and a moat. 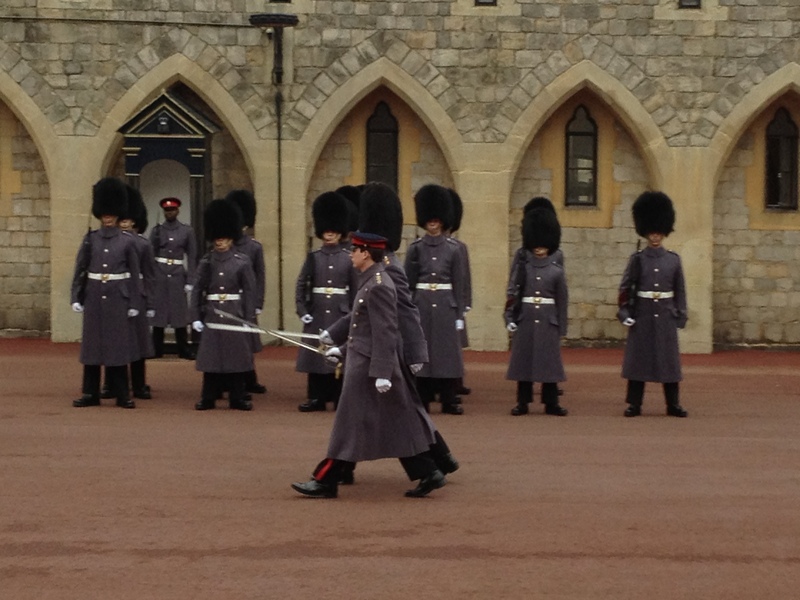 We walked through the front gate and around to the side of the castle for the Changing of the Guard. It was a beautiful 20-minute ceremony that felt almost like a parade with the live band and marching. My favorite part was when the officers called out to the men and they shuffled into place to straighten out their lines. Afterwards we wandered around the outside of the castle snapping photos and enjoying the architecture. Beside the castle is St. George’s chapel which is absolutely breathtaking. I didn’t want to leave the chapel but we had very limited time. Next we walked through a room with Princess Mary’s dollhouse and marveled at the craftsmanship that went into building the three-story treasure. It made me a bit sad that it would have been small for Barbie dolls, but I imagine that Mary had dolls specially made to fit in the house. Once we got our fill of the castle we ventured to the gift shop where I spent way too much money on souvenirs. 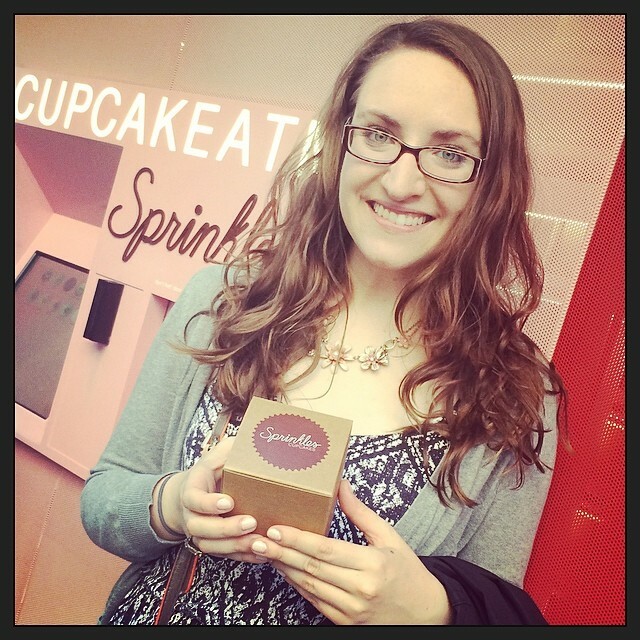 (In my defense – where in the U.S. can you buy things from a real castle?) Afterwards we walked through the quaint town of Windsor enjoying the shops and grabbing lunch at a local café. Much too soon it was time to go back to our hotel and then on to the theatre to see War Horse. War Horse was my favorite book that we had to read for the trip and I had been looking forward to seeing this play all week. 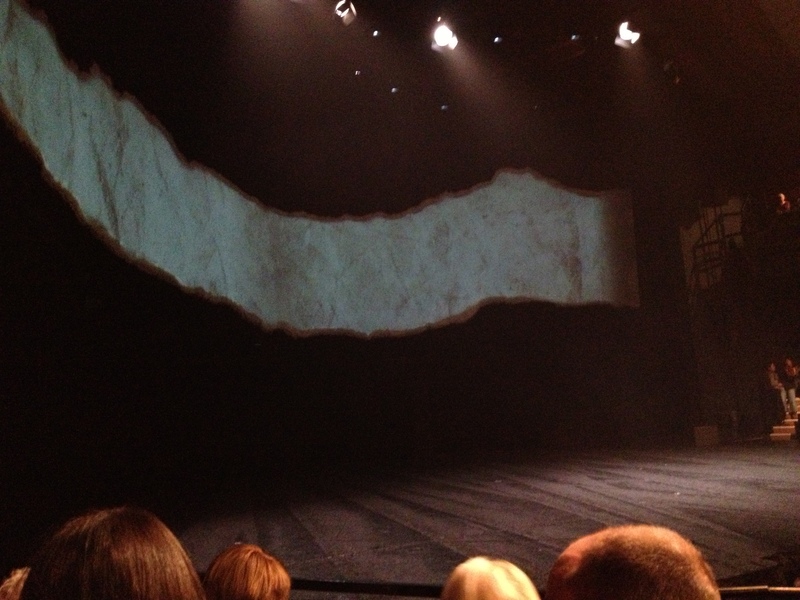 We saw the play at The New London Theatre, (the same theatre where the PBS special of Oklahoma! starring Hugh Jackman was filmed in the 1990s) and the stage has a giant turntable. The conversion from stage to screen was incredible. The book told the story from the point of view of a horse named Joey, while in the play the audience watched the action unfold with the help of beautiful music sung by a folksinger. The horses in the production were the perfect mix of artistic puppets and realism. Although Joey wasn’t given a voice in the production, it was still very easy to understand what he was feeling with the help of three incredibly talented puppeteers. Using sounds and movement, the puppeteers conveyed a great depth of emotion to the audience. Their every movement reminded me of a ballet and I was astonished when Albert first climbed onto his horse Joey and rode him across the stage! Not only were the horses beautiful, but they could support the weight of grown men! Although a bit of Joey’s innocence was lost in the stage adaptation, the production still told a beautifully moving story and I wept at the end. 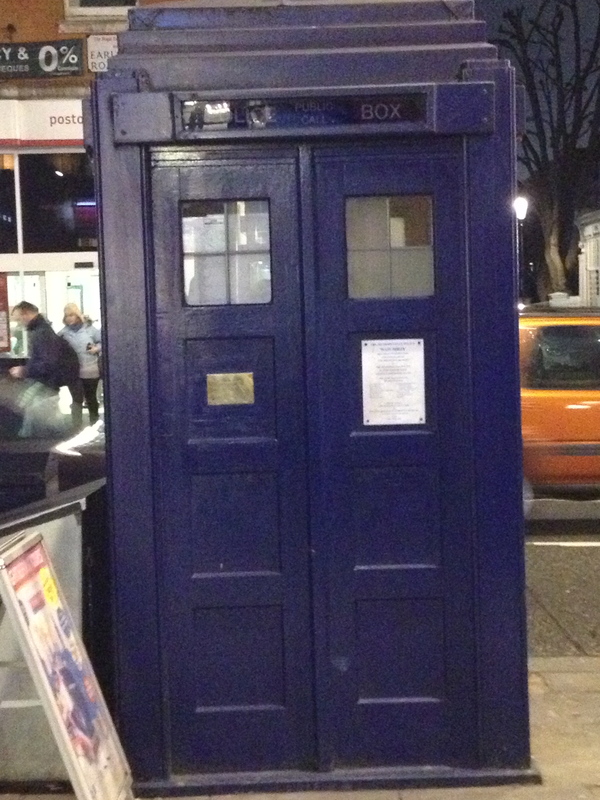 In the evening we went back to the hotel and saw a Police Call Box on the way – (Any Doctor Who fans?) I was incredibly excited to get a photo of the Tardis. So long!